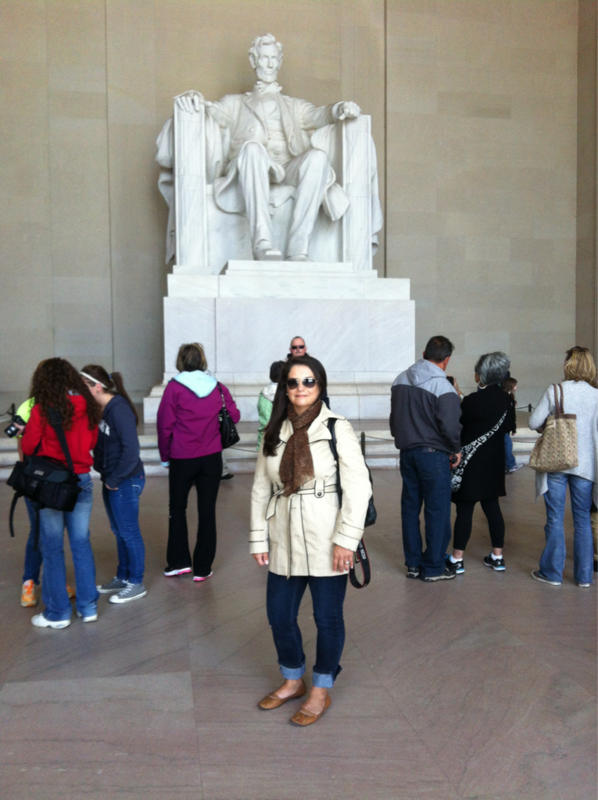 I’m in DC and yesterday I was taking in the sights in my Goodwill flats and leopard print scarf. They were perfect for all the walking I did and the scarf worked wonderfully in the breezy weather. Yesterday the monuments, today Goodwill!